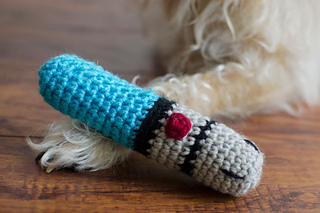 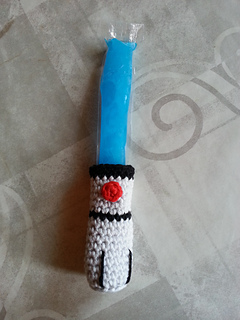 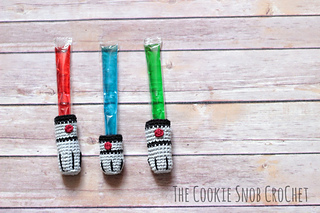 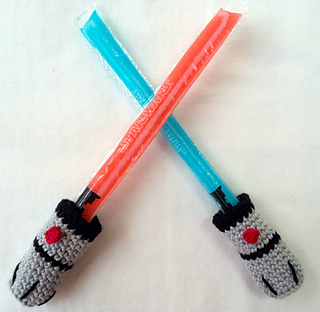 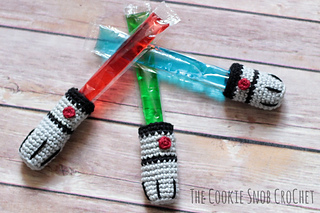 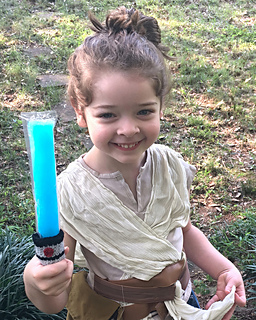 This free pattern is for lightsaber ice pop cozies in toddler, child, and adult sizes. 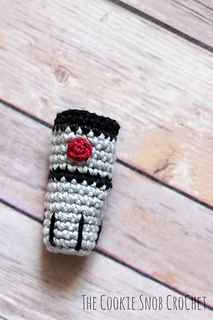 This pattern is worked in joined rounds and is made from worsted weight yarn and worked with size D and F crochet hooks. 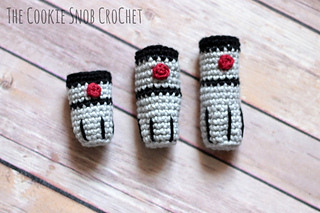 Only small amounts of yarn are needed for this pattern (less than a skein of each color).